Even the greatest animation studios in North Carolina may be missing the ideal animation style for your brand. Animation videos are created often, but aren’t always used to their full potential. Many buyers order a video style without understanding its strengths or weaknesses. The result is a film that packs a weakened return-on-investment. That’s not something you’d want to hear if you just spent tons of money to boost your brand. In this animated video explainer, we will work to make your options simple for you. Meanwhile, we’ll discuss a handful of common animation questions. What are the differences between animation styles? Which animation style should I use? Animated video is a form of videography that plays individual images together to simulate motion. Animation is the reverse of traditional film, which breaks movement down into separate images to record it for playback. There are a number of animation studios in North Carolina. Animation can come in a few different forms. Depending on your message, tone, and audience, you’ll want to find a style that complements your vision. To properly pick the type of animation for you, you’ll need to learn your options. The five main forms of animation include: traditional, vector, computer generated, stop motion, and motion graphics. Some of these artforms mingle to emulate older styles through computer production. Modern animated footage is mostly created and played back in digital formats. Each type of animation has its own history which differs from how we use it today. The earliest forms were drawn on paper in a time-consuming tracing process. On the flip side, modern animation relies on computers for a timely, sharper product. Additionally, some methods can combine to create hybrid techniques. To keep things simple, let’s focus on how to use it in your current video. Nowadays, traditional animation or “hand animation” use computers, rather than paper. Each frame would be drawn out in the past, but new technology has made this style obsolete. The change is due to the increase in time and cost efficiency. Disney’s “Steamboat Willie” cartoon versus the “Princess and The Frog” film is an example. Computers create digital animation (2D) to effectively mimic the old way of making frame-by-frame hand drawings. However, “computer interpolation” can calculate and fill in the movement frames between key positions. This is known as “vector animation,” an option that eliminates the need for drawing all individual motion frames. Computer generated (3D) uses three-dimensional digital figures that move like puppets. Since this method requires no hand-drawn models, artists save even more time. The increase in realism on these models allow for use within live action footage. Modern cinema uses this very frequently. Stop motion uses individually-framed movements of static objects to show motion. A physical figure (versus hand-drawn or computer generated) is manipulated in small movements. Each change in position is captured on film for rapid playback. Motion graphics are based around animated texts, images or video snippets. The visuals are edited with transitions and frame scenes for a naturally-moving result. Advertisements and various promotional materials widely use this type of animation. How do I choose the best animation for me? Base your video animation choices on your needs and message. Firstly, your budget decides if you can use time-consuming styles like hand animation. Finally, animated film is most effective when taking the “less is more” approach. Vector animation and motion graphics provide adequately for your brand without breaking the bank. They require less time (relatively) and are less likely to overwhelm the core message of your video. In summary, you have many animation options to bring your video vision to life. You may want to spend some time viewing styles to decide what your brand needs. Ultimately, you’ll want to talk with a team that’s experienced with using the right tools for stories like yours, so do some research on the different animation studios in North Carolina. We at Blueforest Studios love to have visitors–set up a chat to see if we’re a match today! Should Your Company Be Using Drone Footage? Drones are great for giving your marketing videos a fresh perspective. If your brand’s advertising feels a bit stale or generic, you might want to consider changing up your style. This filming format may be perfect for some companies and pointless for others. As one of the premier production companies in Raleigh NC, we want you succeeding in all your promotional efforts. That’s why in this post, we at Blueforest Studios will break down the following: 1) When are drones more effective than human videographers? 2) How can drone footage enhance your message? 3) What are some types of companies that benefit from aerial video? This is what your favorite Raleigh video production company wants you to know about drone footage! What can drones do better than humans? Filming difficult-to-reach spaces can be effortless for drones. In situations where human life is exposed to hazardous conditions, a flying machine is an ideal candidate for the job. Drones are ideal for filming natural sites such as cliffs, mountains or turbulent bodies of water. The same can be said for dangerous wildlife. National parks, cave tourism, conservationists, cruise ship companies and more can highly benefit from the ease of unmanned filming devices. Man-made sites can be just as dangerous too, and drones are equally up-to-task. Nuclear sites, landfills, skyscrapers, and theme parks all have a large scale that benefits from aerial footage. However, humans filming from heights or surveying risky conditions poses health (and lawsuit) risks that you’ll want to avoid. Put a drone to work and suddenly you’ve got all the benefits with nearly none of the risk! Filming large spaces in single shots and short timeframes can also be done with drones for a fraction of the usual cost. Consider the staff and machinery required for the standard aerial shot and you’ll realize why it can be pricey. Helicopters and pilots alone don’t come cheap, and a full videography staff isn’t exactly light on the wallet. Drones just require an operator: simple and clean, just the way your bank account likes it. Sweeping aerial shots can be powerful for capturing features of big landscapes. Real estate is using aerial shots more frequently to market a property from unique perspectives. A city tourism commission may find great skyline shots or top-down views of the locals in their daily routines. Landscapes can be easily captured too: drones can film farms, roadways, forests, coastlines, or lakes. How does your message improve with drone footage? Concrete ideas become easier to understand through your style of filming. For instance, your audience can comprehend the true scale of a location, object, or idea. Location-based projects can have a greater emotional impact if people can see the scale of a problem. For instance, highway construction may seem inconvenient to the average commuter. That is until the Safety Commission puts out a video showing before-and-after traffic improvements from the DOT’s other road expansions. Suddenly, those detours seem more like a sign of great things to come than a trigger for road rage. Your audience can also digest more abstract concepts through the aerial filming style. Maybe your parasailing business can tap into a thrillseekers passion for heights or another person’s fear of them. Perhaps your university can film top-down on one student, then rapidly rise to show the sheer size of your enrollment and campus. Come to think of it: that last idea is actually perfect for a recruitment video. There are no limitations with a little creativity. Step into creativity by taking flight. Your brand doesn’t have to be stale, especially with drone film on your side. Just by reading through this post, you’ve surely already gotten a few ideas for your own company. As a refresher: you now know drones can be a safer, cheaper alternative to traditional aerial video. You also know that large-scale ideas and locations can be captured in ways not otherwise possible. Here at Blueforest Studios, we’ve got a bit of a passion for this video stuff. We want to be your local go-to on aerial videography or any video production questions. Reach out and set up a chat if you want a few buddies to partner with. Whether it’s a little advice or a full campaign production, we’ve got your back. Why is my YouTube video not getting any views? Your brand’s videos are craving some tender loving but your audiences aren’t feeling it. Your video isn’t some hideous beast that needs a breath mint. It just needs a bit of style advice and a few new social skills. In simple terms, you’re probably just using a great video in a poor way. With these Blueforest Studios SEO for video tips, we’re breaking you out of the “no-views” zone. If you’re ready to get the attention you deserve, we’ll start with the basics. For starters, you should be making your titles relevant and enticing from your viewer’s perspective. From the moment they type into the search bar, their mind is deciding when to click play. You can create from this viewpoint to enhance your chances of success. If you include the topic earlier in the title, you’ve got an even better title. Try something like “Macbook Pro 2018: Everything you need to know!” This will catch eyes even on mobile platforms, since titles are cut shorter to fit on-screen. If you’ve got great content, there’s a chance your video just doesn’t look professionally-made. SEO isn’t all just algorithm hacking, it’s also optimizing for humans to enjoy your work. The style of your video, how it was recorded and how it was edited are huge factors in the perceived quality of your video. You should aim high in each of these areas and know where to cut costs if your budget calls for it. For now, let’s just discuss how you’re recording. In the era of 4k resolutions, it’s important that your video not look lo-fi and dated. Otherwise, your video will look worse compared to other videos around it. Establish a rule that your videos must at least be in HD resolution: 720p or higher. Most modern smartphones can record HD film easily. No excuses for using that 2001 point-and-shoot in 2018– unless you’re going for a retro feel. Maybe your videos usually get great views but this one just isn’t a hit. A wise video producer will ensure that style and tone is consistent between each work. This doesn’t mean you should make all your videos the same. However, your style, tone and/or presentation should be a brand signature that makes you easy to identify across your catalog. As another human-focused SEO trick, this can be a calling card for your brand. You can use insurance commercials as a great example of video-to-video consistency. It’s easy to distinguish Allstate’s physical gags and surreal presentation vs. Progressive’s glossy white visuals and goofy humor. The same logic can apply to your own marketing aesthetic. You might find that sweeping, cinematic aerial drone shots are great for your landscaping brand. Want to get a little subversive? Maybe your candle company can use intense quick-cut action shots. In a normally soothing niche, it’s clever to stand out with a little humor. Extend this appearance and feel into your thumbnails and you’ll be easily identified in any video search. Boosting your brand’s video views can be a bit of a challenge. You’ve taken a great step by realizing your problem and seeking a solution. You’ve learned how to setup up your videos with a great search-optimized title. You also know that you should film with HD equipment and remain consistent with your filming aesthetics. That said, there are more technical VSEO skills that may boost your videos even further. We at Blueforest Studios specialize in this approach, and we’re always ready to chat. Set one up with us so we can improve your brand together. We love to talk about video, and we love having guests at our studio. Why are animated videos rising to popularity? The goal of any modern marketer is to be heard through the waves of digital content. This mission is why animation is quickly becoming one of the best ways to connect with audiences. Tapping into this powerful medium can rapidly change how your brand connects with (and converts) your audience. Don’t get too eager just yet! You should really understand a few things about animation marketing before jumping in. If you’re seeking quality animated videos in Raleigh or elsewhere, we’ve got just what you need. Join us as we illustrate why animated videos in Raleigh are in such high demand. Video doesn’t guarantee clarity for your audience. The trouble with traditional live-action footage comes is that it is very detailed and immersive. That being said, animation removes those finer, real-world details that the brain has to process. The result is a clean and effective style that boosts your message over everything else. In a film about bank loans, for example, it might be nice to have just the props and characters necessary for explanation. Your audience won’t be distracted by your character’s unique clothing styles or how staged their interactions look. Clean is efficient, which is always the endgame for your marketing dollars. Speaking of marketing dollars, your budget may grow as your brand does. The good news: animation COULD be cost-effective and much easier to produce than other film styles. Some of you have tried managing a cast of actors to speak and move just as you pictured. As such, you’ve likely compromised out of frustration. You’ll have a much smoother time making changes to animated films as you mold every movement and word to your exact specifications. Best of all? With only a handful of animators (or less), you can create an entire campaign of videos! Compare that to hiring a team of actors, a director, a space for filming, and more. It’s literally instant cost savings. Long-term marketing plans change with time, and animated videos can adapt effortlessly. Let’s say you’ve got a solid hit on YouTube, but it took you years to finally go viral. You might need the same characters to reprise a role from 2 years ago. Hiring real cast members might be impossible if they’ve moved to Cambodia. Hiring your animated cast? Priceless. No seriously — you’re only paying animators which makes this a very low-cost investment. They don’t age, change hairstyles, or vow off acting unless you want them to. We couldn’t think of a more flexible format for your marketing campaign. Do you recognize this animated character? Animated videos in the Raleigh area? Let’s talk. You’ve by now got a simple rundown of why a marketable brand would love to animate their campaign. Firstly, audiences love how simple and digestible their messaging is. Meanwhile, brands take glee in how flexible animation is for their budgets. Finally, they’re far more practical than most video formats for a growing long-term marketing plan. In case you couldn’t tell, we love to animate here at Blueforest Studios. If simple, streamlined video marketing is up your alley, let’s chat! Your video viewers only stop to watch if you can catch their attention. However, even the most entertaining videos can fail if they’re not published the right way. Your audience engages when your content lives in the places they want to see it. Don’t be surprised when no one watches your ten-minute explainer video on Twitter. We at Blueforest Studios are the wizards in video production Raleigh relies on. Don’t be irrelevant– we’ll take you down the data highway to find the right places for your marketing video. Social networking revolves around trends, and the biggest one is ever-shrinking content. Your marketing footage is no exception: mini-videos are dominating. Snapchat and even Instagram are literally built for this form of content. Twitter’s in the game too, with a limit barely crossing two minutes. Think of your content like a snack for your viewers: small, simple, and delicious. Millennials love to engage with this type of media, so Snapchat is a good pick if your film is in this form. The same concept applies to Instagram as well. Longer video can still have a home here (sort of)! Cut a sample tease of your long footage and link to the main video on Youtube. That’s how the smart brand adapts to a trend. Video automatically plays with or without sound on modern social media. You need to be ready if you’re posting to any of the major platforms. You’ll find that your video plays in one of these ways: 1) Without sound as your viewer is swiping through their timeline feed. 2) After a related video has been viewed on the platform’s native video player. If you want your video on Instagram, Facebook, or Twitter, be ready for the former version of autoplay. There are a few things you can do to optimize your content. First, the narrative should be easy to follow without audio. Secondly, you’ll want to embed captioning into the video or supply a caption file when you upload. Finally, if your audience doesn’t enable autoplay, an attractive thumbnail may be your saving grace. Miss the mark on either and your audience may keep it moving to the next piece of content. Play it safe and do it all! The truth: engagement alone doesn’t drive sales, but the action does. You can get your audience moving to your website or sales pages with links. However, not every platform makes it easy to post these connections to your conversion hotspots. This is why we aim to pick the outlets that make sharing links a smooth experience. YouTube is a champion at this, giving plenty of options (including embed links into the video itself). Another fair option is Facebook, which opens the door for links in the description section. Our Millennial-friendly platforms like Instagram aren’t so link-friendly, so you may opt to post elsewhere. Sometimes, it takes professioal advice to get pro results. Brands don’t always have it easy when the main social platforms can face a rapid downfall. Facebook, anyone? You’ve seen trends change, so a team who knows this space could do you some good. What’s worse than making a video and no one watches it? Our team here at Blueforest Studios is driven to set you up for the right engagement. Chat with us by setting up a meeting, and we’ll be glad to show you the path to an unforgettable video marketing campaign. Your brand’s recruitment strategy means building a team that succeeds (or fails). You want to avoid chronic turnover and employee burnout. So, future hires should see how your brand fosters an incredible work life. 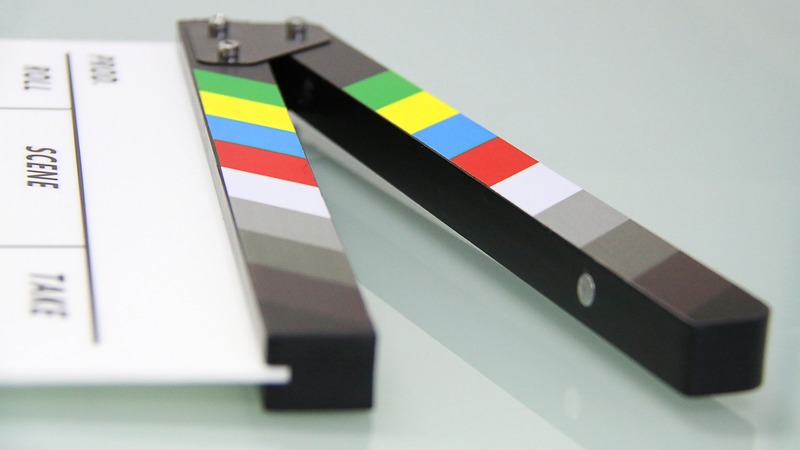 Share your brand story with an awesome recruitment video for your website, but do it right. Don’t be the employer that makes a lame, robotic rehash hiring “pick-up lines.” As the pros in video production Raleigh trusts, we’re excited to get hires falling in love with your brand. Jump in and we’ll guide you with this edition of Blueforest video production tips and tricks. Business relationships are a lot like dating: if your partner isn’t happy then you won’t be. Since recruitment isn’t only about you, you need to show the potential hires what they’ll get out of the deal. You should approach your video like the first date with your brand. Your “date” is coming to your house for dinner and you’ve got to make a good impression. Good impressions start with being honest. You should let your employees tell their stories. If they’re excited about being with you, they’ll have no problems talking about your brand in a positive light. A job seeker loves a brand that’s approachable and transparent. You shouldn’t write out a script for your employees to recite like a speech. Avoid spouting company values like they’re attracted to your potential hires. You won’t get a happy long term relationship with your “date” by using pick-up lines you’ve rehearsed to death. Let your dialogue come naturally. The first date isn’t only about what you say to your date, but how you act in your daily life. Your “date” is trying to gauge who you are, based on your actions and general vibe. Make a strong impression on future hires by showing your employees’ work routines. People can get a real feel for you as your team greets people with smiling faces. They can see into your operations as your team works on daily tasks. They also get a feel for what your environment is like, focus on prioritizing, and if their values align with yours. Yes, your prospective employees catch all this through subtle cues in your recruitment video! If you present as clean and tidy then start becoming a slob again three months later, your partner sees the lie and suddenly you’re single again. Show your reality and your employees will know exactly what they’re hiring into. Get to work on filming! We’re going to break away from the dating metaphor for this one. Lastly, you’ll just want to capture all these natural interactions and features with a decent camera. Depending on your needs, a modern phone camera might even be good enough. For audio, you can always use a phone’s voice recorder and set it up in proximity to your scenes. Fill out the audio mix with a bit of stock music from royalty-free music sites. Do a bit of editing to structure your narrative and you could be all set! But if you need more tips (or a world-class video production team), feel free to set up a chat with us at Blueforest Studios. We’d love to get you on track with a great video to make every “first date” bloom into a long-lasting relationship for your brand. Modern marketing has shifted towards video in an intense way. Media platforms like YouTube dominate the internet, and social media generally is pushing harder every day for video content. Now is a wildly opportune time to jump into video production, and today’s tech makes it effortless to jump into. For beginners, it’s wise to start small and only use what you need. We’ve chosen a handful of software for our “Blueforest tools for video production” stamp of approval. Check out our picks for the 4 best beginner video editing software suites and get started today! We’ve got mostly free options (with a few exceptions), but we’ll start with the ones lightest on your wallet. Apple’s share of the computer market is rising, which means more of you are making the switch to Macs. Good news: you’ve already got one of the most popular video production software packages around! Coming pre-packaged with every Mac, iMovie gives you an unencumbered feature set so you can get off the ground quickly. It isn’t always the easiest software to use, it’s a great starting point to gain your bearings (and see what features you’ll actually need) before diving deeper into the complex paid software. It’s best to get as familiar with this tool as possible learning to push your limits and know every square inch of the process. Work on the basics first before jumping to the shiny expensive stuff. Price: Free with every Mac. Yet another free software, Hitfilm Express is available to both Windows and Mac users. The base package is impressively feature packed for a starter setup. That said, you’ll find it really easy to add in things like 3D model importing and “Chroma Key”– the green screen feature– with simple itemized purchases. This way, you get only the features you need when you need them. Hitfilm takes a bit of time to learn, but it’s more professional than most free offering available. “HitFilm Express gives you access to the most powerful free video-editor and VFX software on Earth and a community of 3.8 million filmmakers.” If you are just starting out and are interested in getting into more elaborate film projects I would try this free service out and see if its a fit for you. Price: Free, with add-on features available for individual purchase. At the low, low price of free, VideoPad has the same pay-as-you-need-it approach to features as Hitfilm. This software has the added bonus of being simpler to handle for beginners. Not to mention it’s also available on both Mac and Windows. However, more advanced users might actually like the options like Hitfilm if you want to get intricate with things like multi-cam editing. As a beginner, you’ll enjoy how easy it is to get going with your video creations. This is especially useful for those making less complicated productions like YouTube vlogs and such. Arriving at our first purchase-only option, Corel VideoStudio Ultimate 2019 has got a killer suite perfect for the beginner video producer. Window users will love how in-depth the toolset is, and will be even happier to know it’s easy to approach. In fact, the only drawback is that sometimes the features run a little too deep. If you’re up for a challenge, it can’t hurt to at least have access to these features while you’re exploring what you need. Additionally, if you want to go cheaper, most of the tools are contained in the Pro edition. Choose what you need, get the rest later. I’m sure you’re eager to get started editing your vacation films, creating video game playthroughs on YouTube, or finally getting your brand into video marketing. As some of the best video editors around for beginners, you’ll find most of what you need here. We at Blueforest Studios recommend you identify what tools you need and focus on creating great content. Remember, software can’t enhance a lackluster video. Do a bit of research before you begin video editing, and if you ever have any questions, we’ve got your back. If you found this blog helpful and decided to use one of the software leave a comment below! Before making your explainer video, ask yourself: does your brand have a strong elevator pitch? If you aren’t ready to quickly explain your brand at any time, it’s time to get your story together.With these Blueforest video production quick tips, we’ll share answers to the following:• How do you talk about your brand in under 90 seconds?• What elements should be the primary focus of your video?• Is your tone too stuffy?At Blueforest Studios, our goal is for you to serve your audience’s needs before all else. Once they understand why you’re in business, they’ll be more ready to do business. Let’s find the “why” behind your explainer video with these tips. The old ideas are sometimes the best. So, “keep it simple, stupid.” The “KISS” method is a blunt way to neatly compress your brand message. The problem, solution, your brand, and a call-to-action should be clocked at well under 90 seconds.For starters, jot down your audience’s unique problem. Write exactly why your audience would get excited when you solve their needs. This is your benefit. Did you notice I didn’t say, “talk about your features?” Talk more about them and less about you. From here, your CTA is easy. Just stick a little urgency onto your benefits and you’ve got it. Keep it simple. Storytelling is key to any great video. Your story should be driven by the voice. Visuals, music and all else should simply enhance your voice’s story.As a result, you’ll need very professional audio quality. Crackling or muffled voice paints an image of a shady brand with something to hide. They might think you pinch pennies when it comes to your services as well. Use studio-quality microphones and audio editing to avoid a bad impression.If you’ve got a strong script, you should be all set. But don’t forget to relate to your audience. You’ll want a story that allows them to see themselves in situations they would experience. Finally, we should note that you’ll want to include captions. Social media video auto-plays without audio, so be ready. The tone of your video is going to drive your message home in a less direct way. Have you seen those Dollar Shave Club advertisements? Humor stands out in a sea of sleek, trendy tech promos.Use your goofy office humor to your advantage. Your team’s got quirks, and if that tone goes against the grain of your industry, that is your ticket to success. Even if you’re not using humor, your goal is to shake the audience out of their expectations.Music and visual styling can be subtle pushes towards your target mood. If you’re using animation, pay attention to the art style. Note the film filters and camera angles you’re using. These all drive the tone if used effectively. Explain your brand the right way. Creating an explainer video can be a slippery slope into making a boring video. You’re taking actions to make it awesome, so you’re on the right track! Let’s take a moment to recap what you’ve learned:1. “Keep it simple, stupid” with a strong elevator pitch wrapped in a relatable story. 3. Voice needs to be clear audio, and it should drive the story. 4. Stand out in your industry by using tone to shake your audience out of their expectations. Feeling better about your elevator pitch now? Good. Here at Blueforest, we want you confident in your incredible services. You’re one step closer to video production that matches the power of your brand. Excellent work, friend. What does it take to be a Voice Artist? Is that like a hand model? Becoming a professional voice-over artist is no picnic in the park. Some of us remember the Seinfeld episode where George is a hand model. Let’s just be clear that being a voice artist is both a gift – like George’s hands – and a cultivated skill. Plenty of people sound great, but there are many steps one has to take to sound sufficiently sharp. On this week’s Kimberly’s Corner, voice-over extraordinaire Donna offers tips on how you can sound like a professional voice-over artist. It involves reading well, placing emphasis on the right spot and practicing. When it comes to voice-overs, the popular phrase “practice makes perfect” definitely comes into effect. To help take your voice to the next level, check out Donna’s helpful tips.